Beverley Hughes had to go. Ministers may just about get away with incompetence, but they can never escape the inevitable consequences of misleading people - even if it was "unwittingly". And that is precisely what Ms Hughes did in a Newsnight interview on Monday. She also failed to tell MPs during a Commons debate that she had indeed been warned about the problems with immigration arrangements in Romania and Bulgaria. It has now emerged that the then home office minister and now deputy chief whip, Bob Ainsworth, had detailed the problems to her, in writing, a year ago. She had even replied to him, promising to do something about it. She may have forgotten the entire incident, as she claims. But that is little excuse when it comes to facing MPs. And most would expect that, once the issue had erupted at the beginning of the week, she would have ordered a comprehensive "paper trail" to unearth all document, letters and conversations relating to it. It was also inevitable that the facts would eventually have been uncovered by the Sutton inquiry investigating the entire affair. So, she had to go. 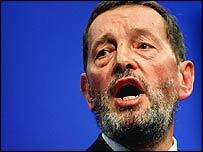 The next question is whether David Blunkett's neck is now firmly on the block - despite Downing Street's insistence he is a first class minister. The prime minister, in his monthly press conference, said he only knew of the development on Wednesday, while preparing for question time. He added that, as far as he was aware, Mr Blunkett had not known the details when he spoke in the Commons debate on Tuesday afternoon. On Monday, Mr Blunkett said he took responsibility for everything that happened in his department and offered Ms Hughes his full support. 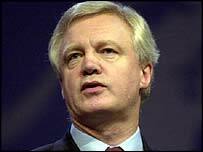 He later said Ms Hughes would not resign or be sacked. And during prime minister's questions on Wednesday afternoon, he was clearly heard shouting from the frontbench that ministers had not been told of the problems. However, Downing Street has refused to say precisely when Mr Ainsworth reminded Ms Hughes of his letter and when, or if, she told Mr Blunkett of the development. Needless to say, this has all led to Tory claims that the affair has been marked by "lies". And the opposition is not going to allow this to simply fade away now that a minister has resigned. They may well focus their fire onto David Blunkett and press for the precise details of exactly who knew what and when. The entire issue is of course a setback for the prime minister who, at least until Wednesday, had been expressing his full confidence in his immigration minister. The row also further fans the flames surrounding the whole issue of immigration and asylum which all serious politicians accept needs to be handled carefully. 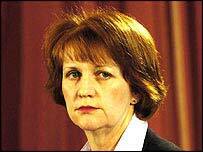 And, of course, Ms Hughes is not the first minister to have been forced to resign from Mr Blair's government. It is the event all prime ministers fear and Tony Blair will now be hoping to put this behind him as he moves onto general election footing.